These cutting instruments used to cut the tissue, dissect the tissue. In some of the case, it is used to excise the tissue. A cutting instrument used mainly in orthopedic, ENT and in neurosurgery. Sharp and one-sided beveled edges. 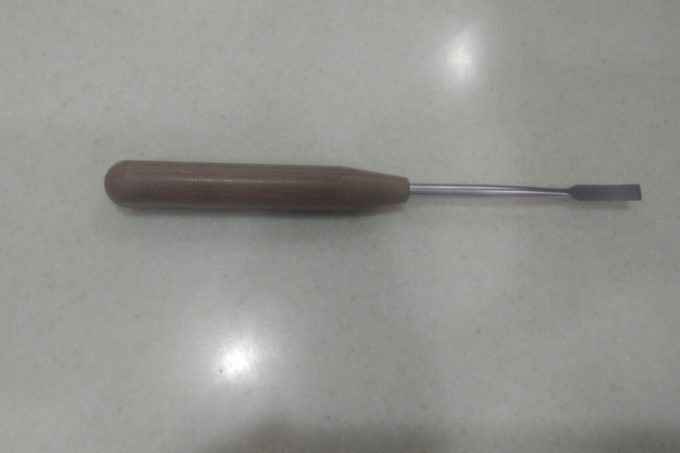 A tool with a long metal blade that has a sharp edge for cutting wood, stone, etc. Used within dissection and resection of bone, cartilage in surgery. It varies in length and width according to the use. To remove the bone slow and perfect slice for the surgeon needs.